Two well maintained single family cottages! 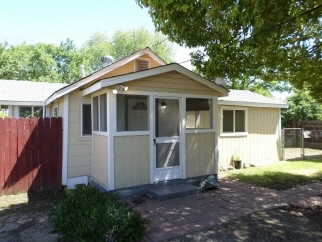 Two well maintained single family cottages classified as a duplex. Each has a fenced yard and and rolling security entry gates. There are two addresses. 728 S. Hinkley is vacant and 736 S. Hinkley Avenue is occupied. Do not disturb the tenant. This tenant would like to remain after the sale. The owner has indicated the vacant home was previously rented for $900 monthly and includes a large enclosed storage shed. Each unit has attached laundry areas.